When I wrote my most recent book, Big Data, Big Dupe, in early 2018, I thought it might be my last. As it turns out, I was mistaken. 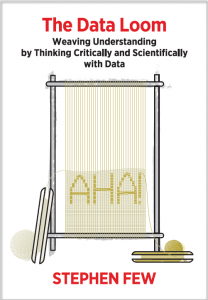 Mid-way through 2018, I became concerned enough about a particular problem to write another book, titled The Data Loom: Weaving Understanding by Thinking Critically and Scientifically with Data. Contrary to popular myth, we do not yet live in the “Information Age.” At best, we live the “Data Age,” obsessed with the production, collection, storage, dissemination, and monetization of digital data. But data, in and of itself, isn’t valuable. Data only becomes valuable when we make sense of it. We rely on “information professionals” to help us understand data, but most fail in their efforts. Why? Not because they lack intelligence or tools, but mostly because they lack the necessary skills. Most information professionals have been trained primarily in the use of data analysis tools (Tableau, PowerBI, Qlik, SAS, Excel, R, etc. ), but even the best tools are only useful in the hands of skilled individuals. Anyone can pick up a hammer and pound a nail, but only skilled carpenters can use a hammer to build a reliable structure. Making sense of data is skilled work, and developing those skills requires study and practice. This book is for information professionals, especially those who have been thrust into this important work without having a chance to develop these foundational skills. 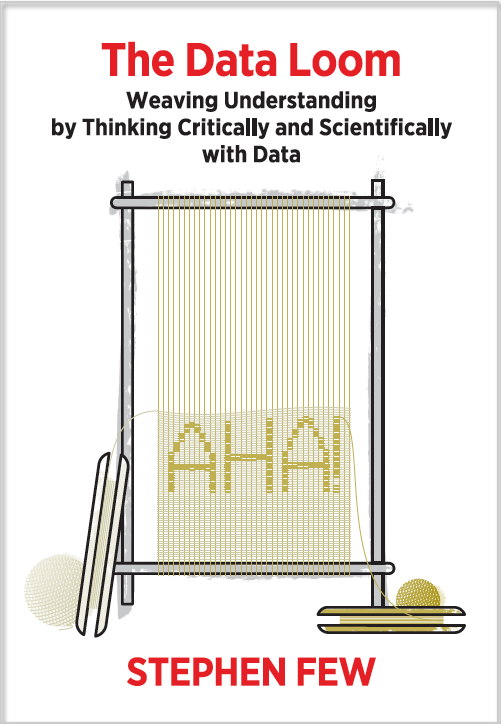 If you’re an information professional and have never been trained to think critically and scientifically with data, this book will get you started. Once on this path, you’ll be able to help usher in an Information Age worthy of the name. Data sensemaking—the ability to weave data into understanding—requires a spectrum of skills. Critical thinking and scientific thinking are foremost among them. When we think critically, we apply logic and avoid cognitive biases. When we think scientifically, we apply the scientific method. Thinking critically and scientifically leads us to ask essential questions about data to improve the reliability of our findings. Metrics can be powerful, but we often measure the wrong things, measure the right things ineffectively, and use measurements in harmful ways. In addition to critical thinking and scientific thinking, data sensemaking is also enriched by developing good thinking habits. Effective data sensemaking is undermined by most organizational cultures. We must promote the cultural changes that are needed to embrace critical and scientific thinking with data. The Data Loom is scheduled for publication in May by Analytics Press. Great news, Steve. Congratulations. I am skeptical you will truly ever retire. Great news, indeed! Looking forward to reading this. Thank you for your work, Steve! I’m looking forward to reading this, and recommending it to my data analyst colleagues. To know that it’s written by my favorite author in this space is a huge bonus. I’ve been thinking a lot over the past few years about how we have an ethical responsibility to ask hard questions of not only our data, but also our treatment of that data. Yet, I see too few people actually doing this. If you’re doing a test read for early feedback, I’d love to participate. Congrats Stephen! Very much looking forward to reading it. This is great, eagerly waiting for the release. Thanks Steve. Glad to see we’ll have another treatise from Steve. “The Data Loom” is now available for pre-order from Amazon.com.